Perfect location in a quiet backstreet a short walk from the shops and the perfect (super shallow) kids beach. Very friendly owners. Nice view from balcony. 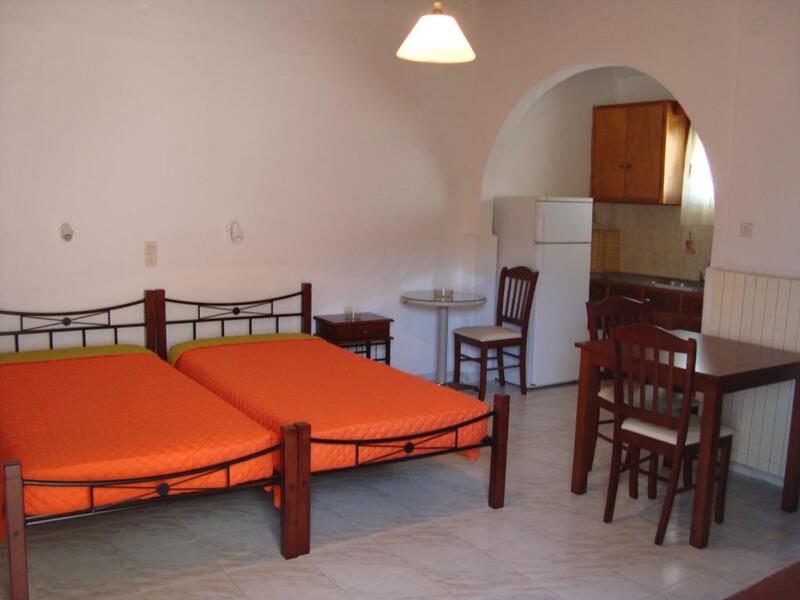 Clean budget studio in quiet location, very close to beach, bus stop to town, two mini markets, bakeries and nice restaurants. Apartment is on a little hill, with nice view on Ornos bay. We had a free shuttle pick up from the airport. Kitchen was well equipped with fridge and cutlery for making breakfast or a snack. Nice balcony for breakfast in the sun. In the end we stayed one night longer since we liked the location so much. We would definitely come back! 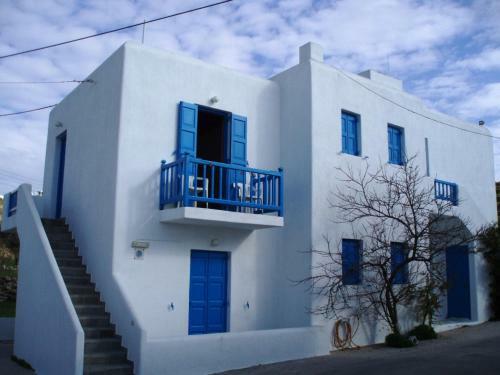 Le prix, c’est tellement difficile de trouver une chambre à un prix correct à Mykonos! Μου άρεσε η ευκολία στο check in & ckeck out . Buena ubicación, personal es super agradable, destacó la encargada, muy atenta en ayudar en todo, limpio, buen aspecto externo. Appartement proche des commodités, quartier calme. Le ménage était fait tous les jours en notre absence. Clean and comfortable, great host, very good value! 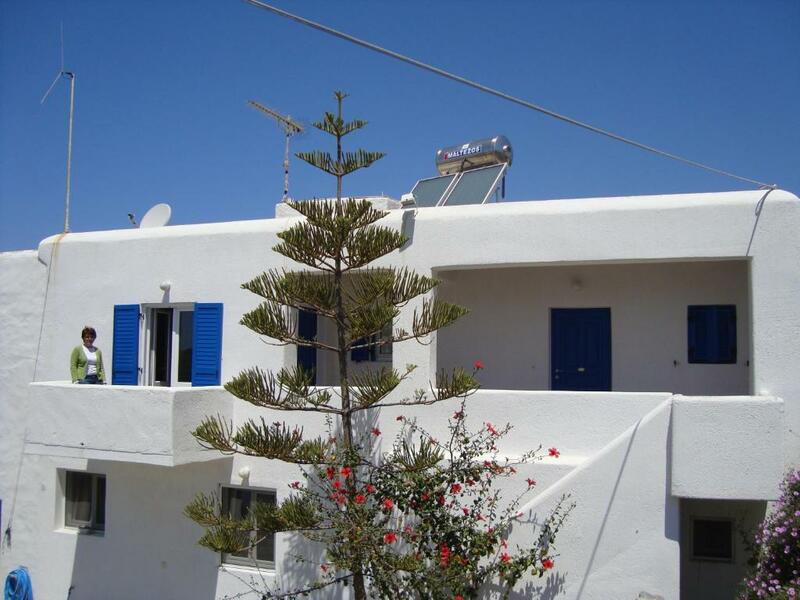 Close to the beach, places to eat, and to the bus stop. Recommended for bookings of more than one person! La ubicación. La atención d Marina, es muy simpática y agradable. La situation géographique à 3mn de la plage d Ornos et des restaurants. Le calme du lieu ,la gentillesse de notre hôte ainsi que la propreté. Belle vue sur la baie depuis le petit balcon. Une bonne adresse sur Mykonos. One of our bestsellers in Ornos! 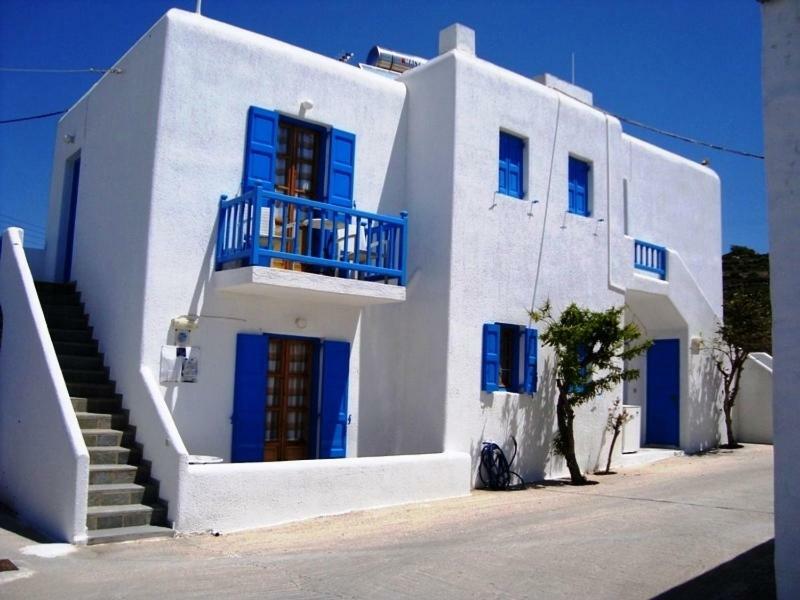 The whitewashed, Cycladic-style Marina Blue Ornos is a 10-minute walk from Ornos Beach in Mykonos and centrally located in the village. It offers self-catered rooms with side sea or inland views. Studios at the Marina’s have a TV and air conditioning. Each includes a kitchenette with cooking hobs, a fridge and a dining area. All units have a balcony or a terrace. The centre of Ornos offers shops, taverns with fresh fish and a low-key nightlife. The lively town of Mykonos is 2.2 miles away from the studios. Mykonos Airport is at 2.5 miles. This is our guests' favourite part of Ornos, according to independent reviews. 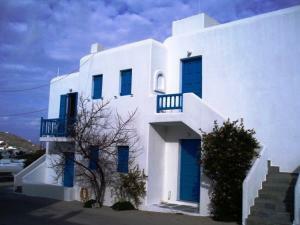 Marina Blue Ornos has been welcoming Booking.com guests since 15 Jun 2011. When would you like to stay at Marina Blue Ornos? House rules Marina Blue Ornos takes special requests - add in the next step! Marina Blue Ornos accepts these cards and reserves the right to temporarily hold an amount prior to arrival. Kindly note that extra bed may be a roll-away bed. Please note that for security reasons, you have to provide your own credit card details in order for the reservation to be valid and present this credit card upon check-in for verification. Please inform Marina Blue Ornos in advance of your expected arrival time. You can use the Special Requests box when booking, or contact the property directly with the contact details provided in your confirmation. Not much.... bed was too hard for me, but good for my husband. We never saw the hosts and all needed to be done via call. They did not even have beach umbrellas which every place I have stayed in Greece provide. It is definitely a basic place for the money you stay. NOT AT ALL VALUE FOR MONEY. The check-in was fairly late for us. We arrived at 7am and had to wait till 2pm to get in. Other than that everything was perfect and the host was so kind and helpful! Location was decent, close to bus stop, but can't avoid the uphill walk. Other than that, no issues so all. Bed was hard, but it was a cute room. It's at the top of a long hill which is kind of out of the way. It's not in an area where you can get to other locations on the island easily, but the bus is right by the beach. It was difficult to arrange for someone to come and meet you to give you the key and show you to your room, which isn't ideal, but they were available when you called. Great view from the balcony. Quick walk to the beach.